la scelta dei fan: C.A. Cupid Ever After High! Which of my preferito Monster High characters is your favorite? Which of my preferito Monster High bambole is your favorite? Hi, I'm Hades Mortem and if te don't know who I am da this point, there's really no need for te to continue reading. If te do remember me however, get ready to hear the final part of my story. "Meowlody chill,yes today is the Open giorno at the resort,but te have nothing to worry about" Purrsephone said. It was the successivo day,and the students had gathered at the enterance of the Monster High pool,the school bored,after seeing the petition,had decided to allow the pool to become clothing optional,much the students,and Headmistress Bloodgoods delight,of course,Meowlody was quite annoyed,she didnt expect something like this to happen,but her thoughts changed when Bloodgood handed Purrsephone a pair of large scissors. a comment was made to the poll: Which of my preferito Monster High characters is your favorite? a poll è stato aggiunto: Which of my preferito Monster High bambole is your favorite? 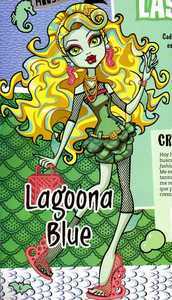 What is Lagoona's preferito activity?